Jan. 1 is right around the corner. That means the opportunity for a fresh start will soon present itself. Use the remaining days of 2016 to reflect on your life as a whole. Are you happy with your health? Are you spending enough time with your grandchildren? Do you do enough to give back to your community? 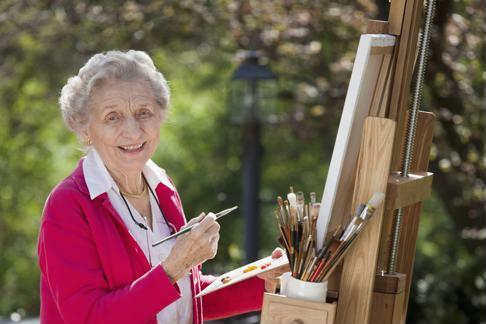 Staying physically active is key to healthy aging. That doesn't mean you have to spend all of your free time exercising, but you should certainly dedicate a portion of your day to fitness. If you're just getting started, Harvard Health Publications recommended committing 10 minutes of your day to exercise, with a gradual increase as it becomes a habit. Eventually, you should be able to dedicate the recommended amount of 150 minutes of aerobic activity per week. 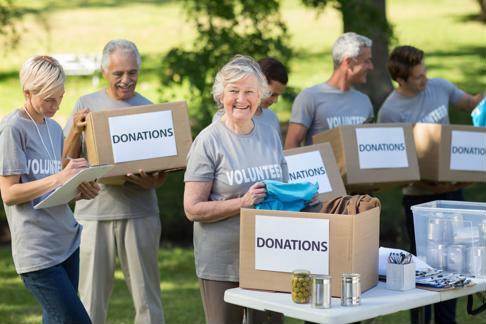 Volunteering is a great way to give back to the community, but it also benefits your own health. According to Helpguide, it provides a sense of accomplishment, increases self confidence and brings fulfillment to life. It also connects you with like-minded individuals, which is great for your mental well-being. This year, find an organization to get involved with to help your neighborhood and reap the health benefits. Volunteering can provide a great sense of fulfillment in your life. It's not always easy remaining close to friends who don't live right down the street. But there are dozens of resources you can use to rekindle old friendships. Make a telephone call, send an email or reach out to one of your childhood buddies via Facebook or another social media platform. Make it your goal to keep in touch and possibly schedule a get-together in the near future. Most older adults can agree that there is nothing quite as special as spending time with the grandchildren. But you shouldn't only meet up for special occasions. Staying connected with your grandkids on a regular basis will strengthen the bond between you and keep the entire family closer together. This year, consider gathering with your loved ones every other week to catch up. It's easy to reach for that sugary treat after dinner. But consuming those not-so-healthy choices every night may eventually lead to weight gain, high blood pressure and other chronic issues, according to Blood Pressure UK. Make 2017 your year to fall off the path that leads to unhealthy desserts and jump on one that drives you to make smarter choices. Fruits and dark chocolate make excellent natural alternatives if you need to satisfy a sweet craving. When was the last time you spent time enjoying that favorite hobby of yours? At some point in the new year, consider breaking out the old needle and yarn, fishing rod, or bottle cap collection you used to be so passionate about. You may even consider introducing it to your grandchild so you have something new to bond over! Revisit an old hobby of yours this year. You know that physical activity is important, but giving your brain a "workout" is just as crucial, according to Rita Altman, senior vice president of Memory Care & Program Services at Sunrise. "We can all help our brains change in a more positive way by engaging in new learning that requires some additional effort," she said. Challenging your brain regularly keeps your cognitive skills sharp and reduces your chance of experiencing memory loss. This year, make time to play games that'll force your mind to work in overdrive. "If you are accustomed to doing crossword puzzles to keep your brain active, be sure to increase the level of difficulty to challenge your brain to work even harder, which will promote plasticity," Altman said. "Or, consider learning a new language, as that is a great way to improve brain plasticity." Your body is always changing, so make it a priority to keep up with your health. Visit the doctor annually, if not more, to be proactive about your overall well-being. And take the advice and guidance he or she gives during your visit. Those tips will help you have a happy and healthy year.